With the current system, information provided by the employment agencies are not standardize throughout and are insufficient for both the employer and helper to make a good decision during the hiring process. 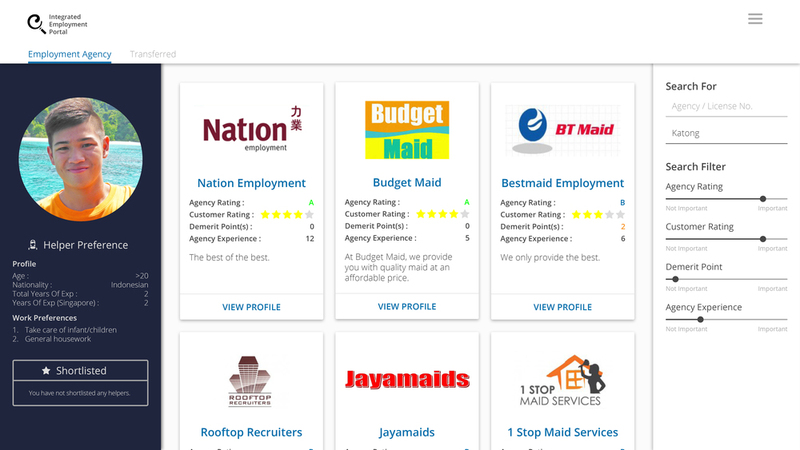 The Integrated Employment Portal is a platform that allows employers to match with their most compatible helpers under the suitable agency with the help of preference questionnaires, detailed bio data, agency rating and customer reviews. We strongly believe that a better match leads to a better working relationship.